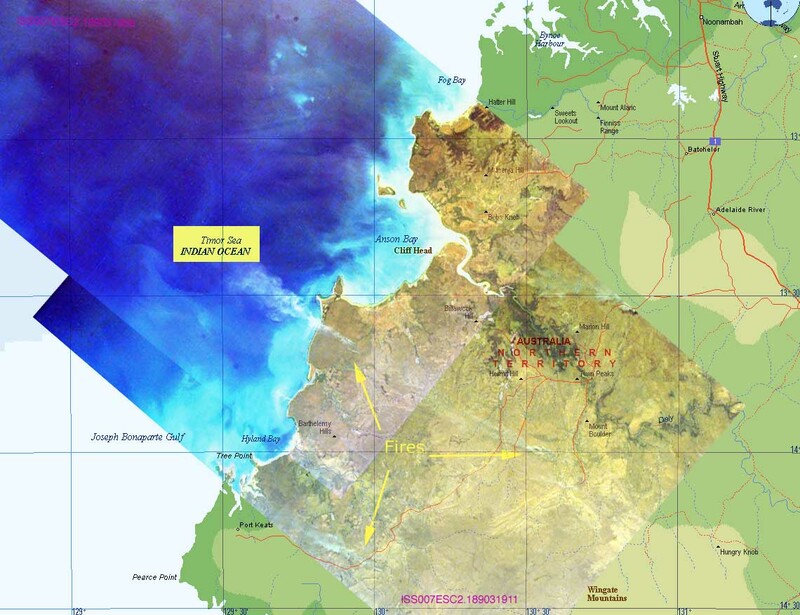 This image mosaic shows part of the coastline of Northern Territory, Australia—including Anson Bay, Fog Bay, Cliff Head, and the Daly River. Formed by the confluence of three smaller rivers, the Daly River flows about 200 mi (320 km) from the hills west of Arnhem Land to Anson Bay within the Timor Sea. Its basin supports cattle ranching and peanut and tobacco farming. Smoke from several brushfires is also noticeable in the image.